Classic Bistro chairs with a Hoop back metal lframe in a Silver/Grey finish and polished wooden seats. Available from stock and delivered assembled and ready to use. 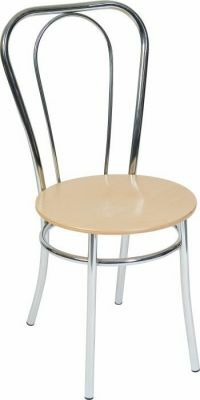 Great value bistro chair suitable for use in canteens/ cafes or for home use. Held in stock for a speedy delivery of 2-3 working days.